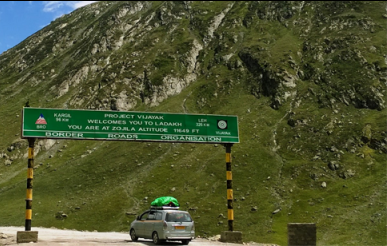 Srinagar: Days after declaring Ladakh as a separate division, the J&K Governor S P Malik has approved construction of a 300 km long flyover to connect Jammu division with Ladakh directly bypassing Kashmir. The flyover will fly over the mountains of Kashmir, to connect Jammu with Ladakh. As per the proposal approved by Governor the flyover would start from Ramban (falling in Jammu Division) and would end at Kargil (Ladakh division). Malik told media the move would help in cooling the tempers in Kargil. The engineers have been directed to raise the flyover 400 feet above the ground level. Insiders at the Raj Bhawan said the security agencies have given their clearance for the flyover and contract would be awarded to Hyderabad based construction company – Ramky Infrastructure.